Break out the Disco Nunu and get ready to drop a hot GGEZ in chat. 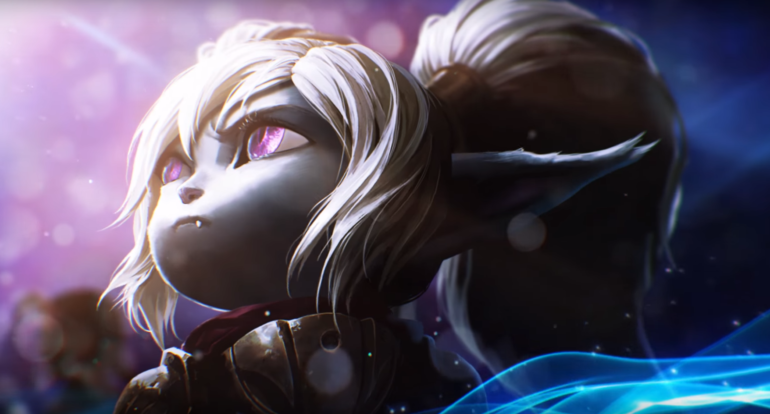 The 2018 ranked season for League of Legends kicks off tomorrow, Jan. 16, and Riot released a kickass new cinematic to honor the occasion. This season, players will have the opportunity to play in one of the most diverse metas in the history of the game thanks to the new rune system. Champions of all types have become viable options for each role, and the only neglected champions are those that are individually weak, rather than whole subclasses due to one item or strategy. So grab your favorite champion, and get ready for the grind. Unless you’re an Ivern main. Or Nunu. Then you might have a bad time. Just like every other season, your rank will reset, and you’ll have the chance to play through 10 solo queue placement games to determine your starting rank for season eight. Not only will your rank reset, but your Hextech Chest progression and Honor level will, too. That means you’ll be able to unlock a Hextech Chest for each champion as long as you or someone in your game achieves a rank of S- or higher on that champion. Your Honor level will reset to level two, which is the same level you were at when the new honor system launched this summer. If you finished last season at Honor level three, four, or five, you’ll get a slight head start in Honor experience at the start of this season. Remember last season, when you couldn’t get out of Bronze? You kept telling yourself, “Well, there’s always next season.” That season is here. You’re getting a clean slate, and it’s time for the climb.